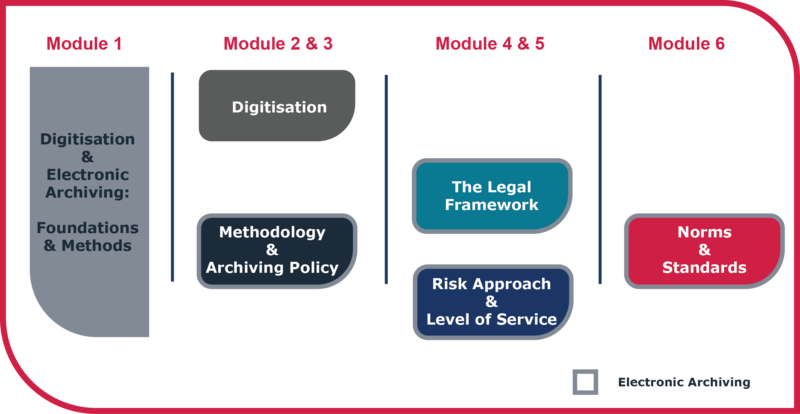 Our courses allow you to gain experience in the complete process of document management, archiving and digital transformation, help you manage your most challenging archiving or digitisation (scanning) projects, create archiving policies and being compliant according to Luxembourg law on long-term archiving. Dedicated training’s for the specific needs of your company! Acquire an overall and strategic overview on the benefits of an electronic archiving policy for your company! You are trained within your company at a date/day/schedule that suits you best. We offer training in shifts to meet your internal schedule. Trainings are tailored to your needs. The modules point out the different functions of your company & will be presented in English or French. Haven’t found what you were looking for? Visit our Q&A page.